Edwin Alston passed away on August 7, 2018 in Mesa Az from a stroke. He was born to Alvin and Rebecca Alston in Alamosa, Colorado on November 3, 1921. At the age of 4 years old his family moved to Idaho and he was raised in the Rockland Valley and American Falls area. Ed is the second of six children, Alvin (deceased), Alta Mae Curtis (deceased), John (deceased) Jean (Walter) Mauch and Joyce Crockett. On a beautiful day in July 1941 Ed saw Ethel Brumfield walking down the street and knew that was the girl for him. He arranged for a friend to introduce them and the rest is history. Ed and Ethel were married October 19, 1941. Four children were born to their union, Judy (Tom) Arizona, Richard (Elfie) Washington, Shari (Ray) Pocatello, Tim (Marcie) Pocatello. 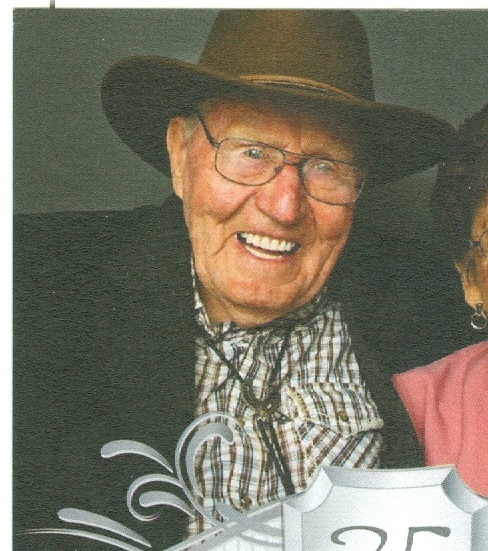 Ed was a master at welding and problem solving for trucks and farm equipment. He also spent many miles driving truck throughout his life. Ed is a veteran of the United States Army stationed on Okinawa and in Korea as part of the 34th Engineers Combat Battalion. For the last year and a half, Ed and Ethel have enjoyed the sunshine while living in Mesa AZ. Memorial service will be held on Saturday August 25, 2018 at the American Falls Christian Fellowship Church, 329 Harrison Street, American Falls, ID. Visitation from 10:00 AM to 11:00 AM. Memorial service at 11:00 AM. Reception to follow in the fellowship hall.